In business terms, growth is always considered good. Growth, however controlled it is, can also present its own challenges in this day and age – especially in trucking! However, one company is taking the bull by the horns to be the driving force behind its expansion and evolution, with innovative thinking to address the growth challenge. Eastern Plant Hire (EPH) started out as a modest equipment agency business in 1997, run by brothers Michael and David Willson. Since then it has grown to become a specialist earthmoving transport company involved in projects across three states. As well as a tipper fleet, the company also has a small fleet of earthmoving equipment for hire including road sweepers and water carts. 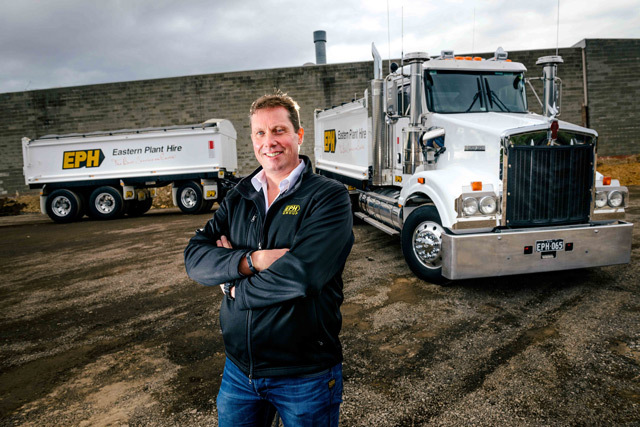 EPH managing director Michael Willson says an infrastructure boom on the east coast is seeing unprecedented demand for drivers and subcontractors. EPH was the primary haulage contractor for Melbourne’s $2.5 billion Eastlink toll-way project back in the early noughties; an iconic project that moved nearly as much dirt as the iconic Snowy Mountains Hydro Electric project. Since then EPH has pursued more opportunities both in Victoria as well as New South Wales and Queensland. EPH managing director Michael Willson says: "The eastern seaboard is currently seeing a massive infrastructure boom, and we’re an integral part of it". Innovations like the development of an EPH app for clients and contractors have served to push the company into ground-breaking areas with increased connectivity, transparency and compliance as well as resulting in less paper work for employees, contractors and clients alike. The business features on-site workshops for ease of servicing. As with many transport companies, EPH has struggled to keep the pace of driver recruitment in line with the business’s growth. "Like many trucking companies, it can be a challenge to find and retain drivers," says Willson. "So that’s why we started our Ambassador program. "And we’re now looking for more owner drivers to become EPH Ambassadors." An EPH Ambassador is an independent contractor. Prospective Ambassadors can buy an existing EPH fleet truck and then go to work for the company. "We use the term Ambassador because that’s what they are, they’re brand ambassadors for our company," Willson says. "The trucks carry our logo and they’re the face of our company. "And service is something that we pride ourselves on, it’s the very basis of our business." 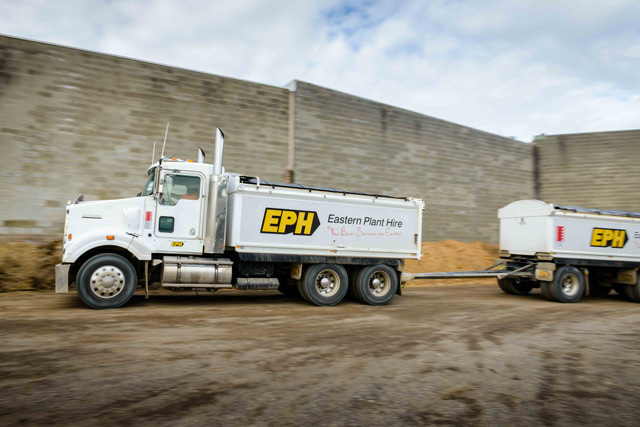 The EPH fleet is multi-branded, however, a large number of these trucks carry the Kenworth logo. Along with Western Star, there’s also a smattering of European brands in the fleet, mainly Mercedes-Benz and DAF. 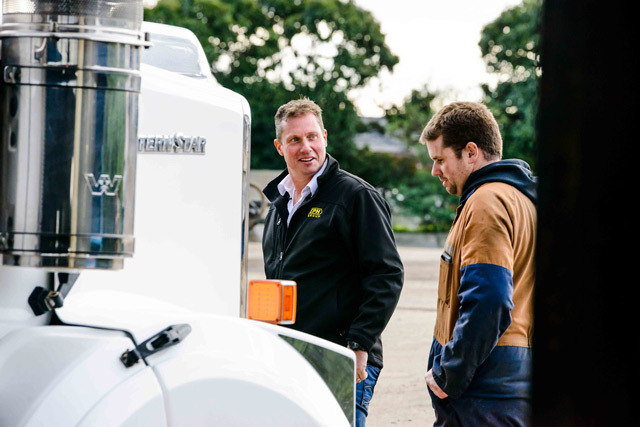 "Some drivers will only drive our Kenworths, though we also have drivers that love the European comfort and manoeuvrability also offered by our cab-overs," Willson says. The fleet is predominantly made of North American brands though EPH also operates some European makes. The EPH tipper fleet runs under PBS to maximise productivity as well. However, Willson is keen to point out the advantages of being an EPH Ambassador. "They get to take advantage of our buying power for a start," he says. "We have our own workshops and their trucks can be serviced on site, so this can be very cost effective." And then there’s the convenience of being connected to both the company and the customer via the EPH app. "Our EPH app means that there’s a lot less time taken up by paper work and they can see exactly how much they’ve earned and when they’re going to get paid," he says. "Another advantage of being a part of the Ambassador fleet is consistency of work. We prioritise the Ambassador trucks when work is slow. "We can’t control the weather, but we always support the Ambassadors over the company trucks to keep them earning." Willson says the company is growing and has plenty of work coming. Brett De Niese has been an EPH Ambassador/subcontractor for three years.